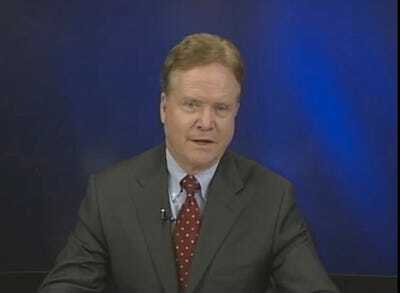 On Wednesday evening, one minute before midnight, former Virginia senator and secretary of the Navy Jim Webb became the first established figure to officially wade into the next race for the White House when he unveiled his 2016 presidential exploratory committee website. The page features a 14 minute video and nearly identical letter where Webb details his biography and rationale for mounting a longshot presidential bid. Some of the likely Republican 2016 hopefuls have begun to lay the groundwork for their campaigns, however, none of the leading candidates have debuted an official organisation. Democratic frontrunner Hillary Clinton said in September that she would make a decision by Jan. 1. Since then, there have been multiple reports indicating she will launch her official exploratory committee by the early part of next year. In the video, Webb, who was a Democratic senator, touted his experience working in the Pentagon during the Reagan administration. He also vowed to take on income inequality, a core issue for many progressives. Webb was elected to the US Senate in 2006 with a narrow upset victory over Republican incumbent George Allen. In his video, Webb cited this experience as evidence he should not be counted out of the 2016 race. “Your early support will be crucial as I evaluate whether we might overcome what many commentators see as nearly impossible odds. We are starting with very little funding and hardly any staff, but I’ve been here before,” said Webb. Watch Webb’s full video below.